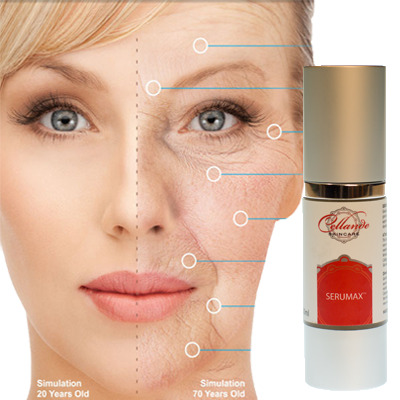 Serumax - A Truly Natural Alternative to Botox This Superior Anti-Ageing Serum contains nine of the most effective substances needed to get real results by Reducing Wrinkle Density and Fine Lines*, Boosting Collagen Production* and Replenishing New Skin with Depth and Condition*. Directions for Usage: Gently massage a small amount of the Serumax onto the face in an upward, circular motion, until fully absorbed. Apply after cleansing or exfoliating the skin and before the Hydrating Gel Serum or Nourishing Cream. Enjoy radiantly youthful looking skin!